Located in the central district of Kanazawa, our studio offers a friendly Japanese cooking class for visitors from abroad. 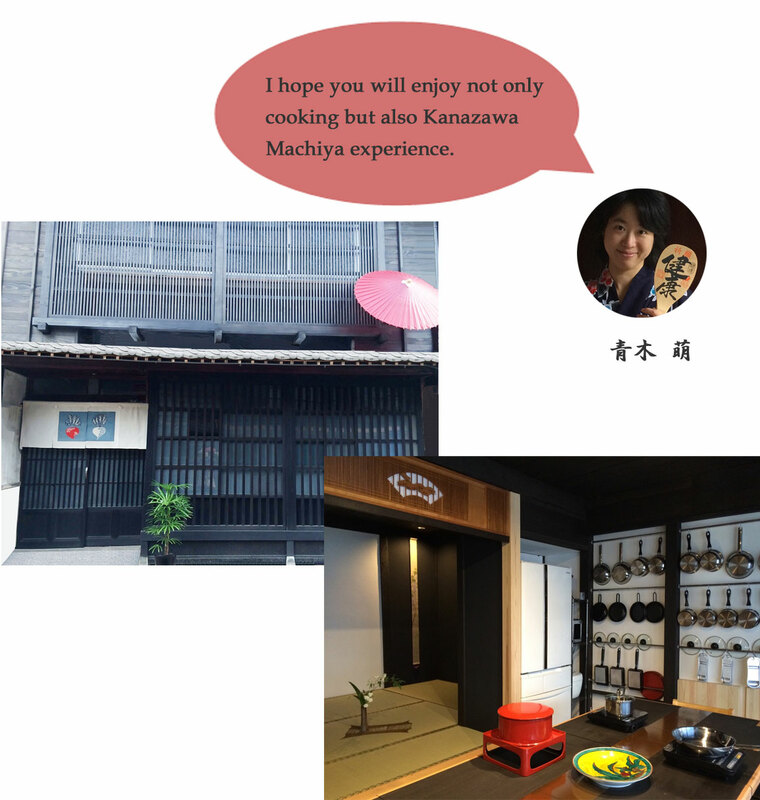 Our class is held in Machiya (historical townhouse) with English. We would like to offer you the best opportunity to learn about the essence of healthy Japanese cooking, in another word, simple, authentic and traditional Japanese methods of creating tasty wholesome food, which is also ideal for Vegetarians and Vegans. your own country. We also assist your realising it by shipping a selection of high quality Koji, its products and other ingredients on your request. Why don't you join our cooking class, and make your life healthier and happier ? Copyright©2017 Cooking Studio Kanazawa Salon.All Right Reserved.